Scenic Sotheby’s International Realty represented both buyer and seller in Gulf Place’s most significant sale of a studio condo unit since the town center’s development 16 years ago. 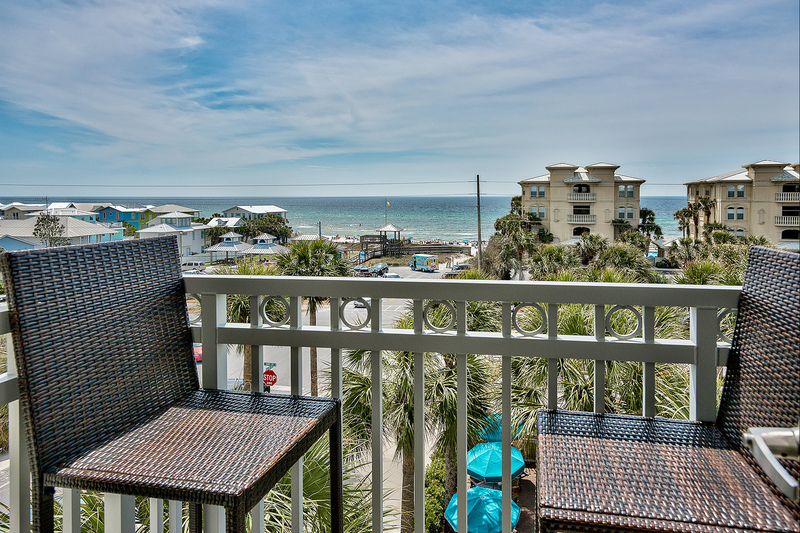 Listed with The Kelly Hill Team for only 81 days before being placed under contract by The Carlyle Team, the updated unit above La Playa on the 4th and top floor of Gulf Place Town Center sold for $300,000 on June 28th. 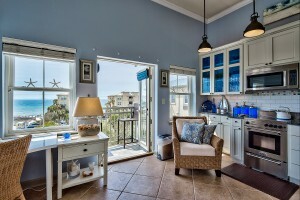 Overlooking the courtyard at the corner of Scenic Highway 30A and Highway 393, the 578 square foot unit packs many impressive features into its concise space with soaring 12-foot ceiling, and is poised to capture a wide breadth of emerald green gulf waters beyond the Ed Walline Park beach access. 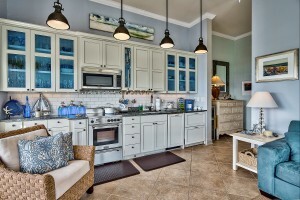 The quintessential lifestyle center on the western end of Scenic Highway 30A, Gulf Place has been an iconic location over the last decade for locals and tourists alike to enjoy all the coastal community and quaint environment Dune Allen Beach has to offer. Boutique shops and coastal cuisine, community concerts and events with local artists and musicians bring this center to life on a daily basis. 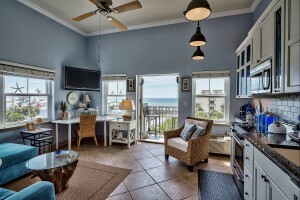 Its close proximity to the beach and surrounding condominium units, along with second home and gulf front properties make this location convenient for everyone to enjoy.